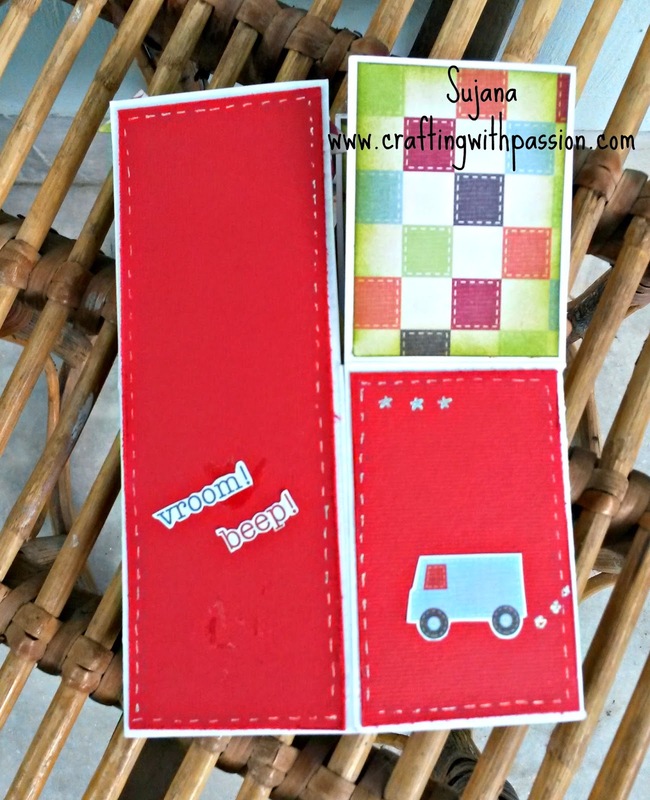 Crafting With Passion: A Toy Chest!!!! Good to be able to get time to post. 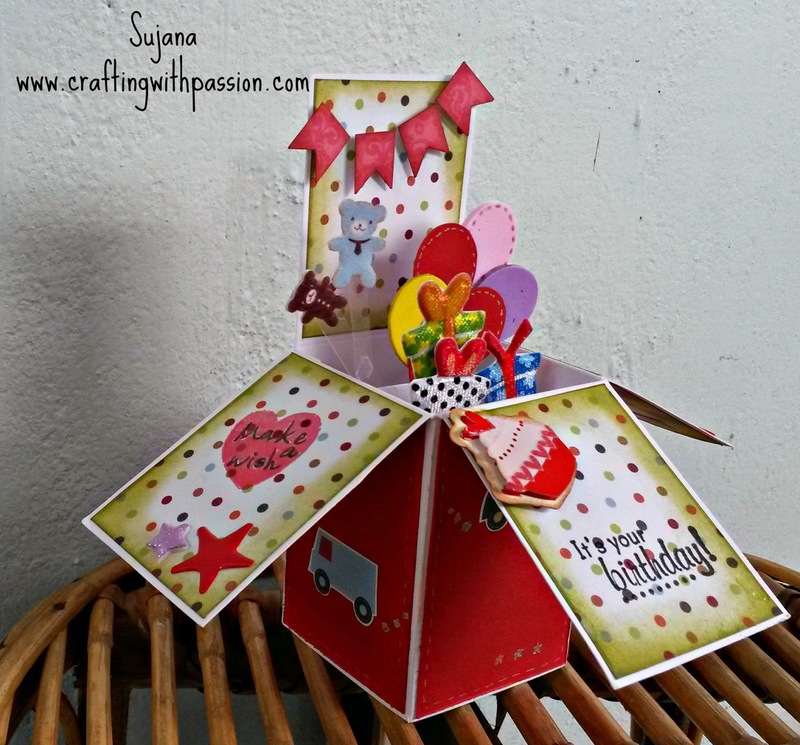 I have a lovely card in a box to share with u all. This is my first try at this all i simply love it. Minimal embellishments is all u need, the pop up effect is too good. This is for a lil boy's birthday. Isn't this truly a beautiful surprise? Its filled with balloons, gifts, banner, smileys, teddy bears and stars. I loved the pop up effect and the way it folds down to 2D card. 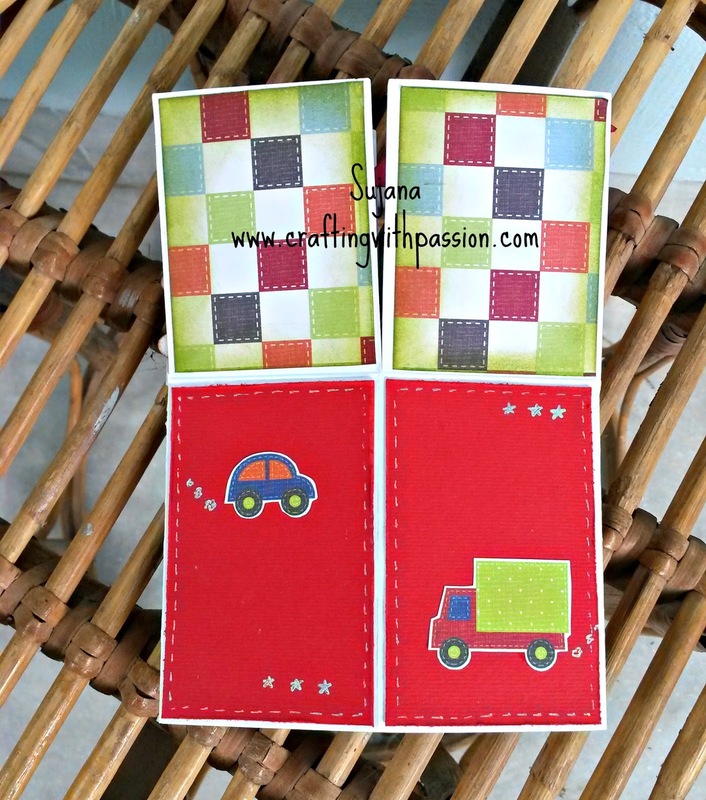 Thanks to all the bloggers and our Indian Crafters for the inspiration. PS. Dont forget to check out this month's candy from Deepti's CSCC. Its a lovely stamp set from Priya's store. Here is the link gals. Wish u all luck! What a fun card !! loved the cute details . 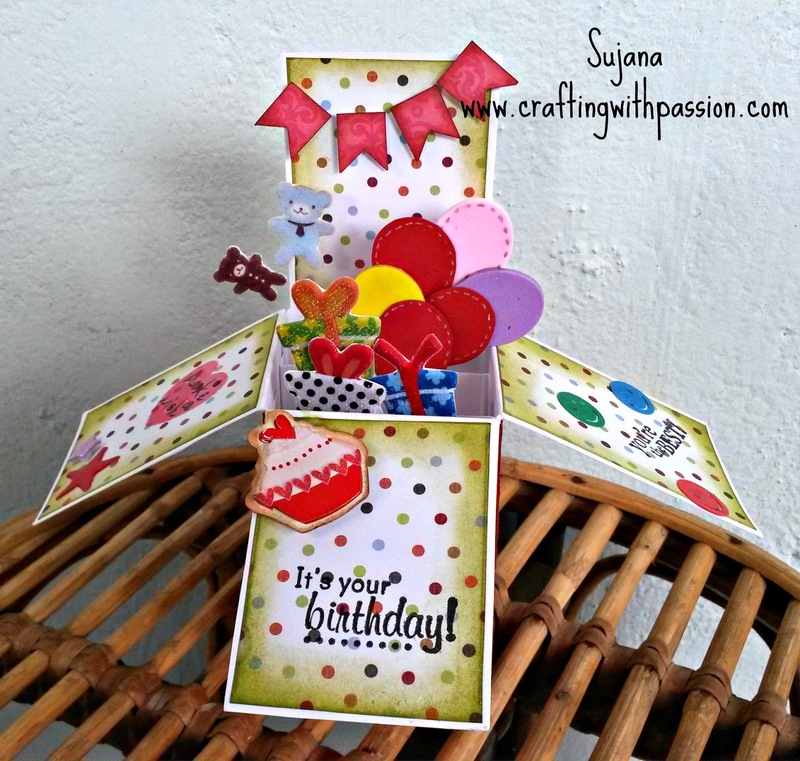 Very very cute Sujana Beautiful work! 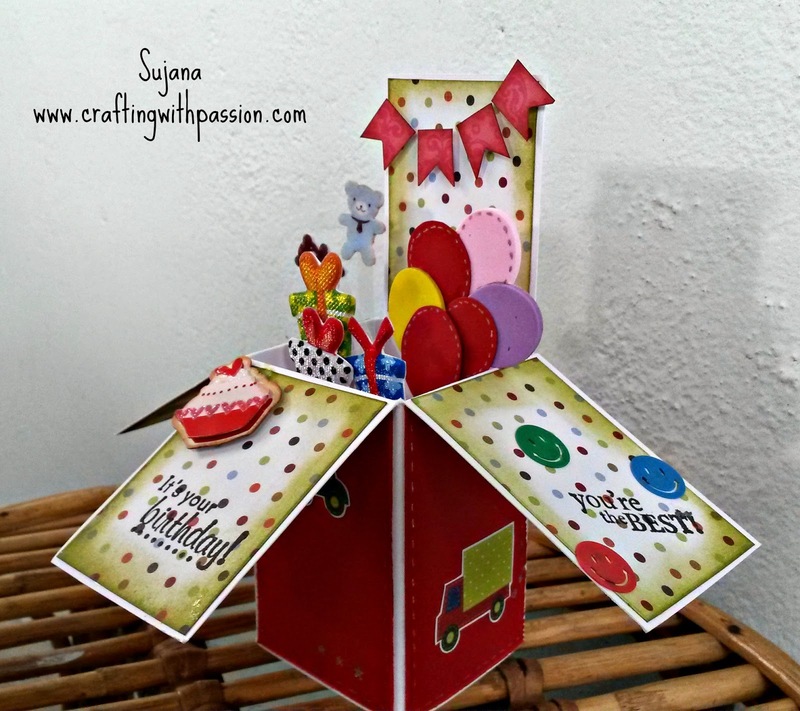 Sujana, all your explosion boxes are great and this one is relly funny! Lovely present for a child! This is so adorable :) Love the popping balloons :) Thank you for sharing with CSCC ! Wao so cute ! i love the colors and the elements you picked ! How fun!! Love these!! Thanks for joining us at BGC! Oh yes it does look like a chest of toys!!! TFS at CSCC#5.